The Christmas Story about the man who missed Christmas starts here in the Bible. It doesn’t tell us the name of this man, but we can read his story in the Gospel According to Luke 2:7. That verse tells us enough, and more than enough, about the innkeeper, the man who missed Christmas: “And she brought forth her firstborn son, and wrapped him in swaddling clothes, and laid him in a manger; because there was no room for them in the inn.” Luke 2:7 KJV Why was there no room for Mary and Joseph and their expected Baby, except in a stable? Bethlehem was a small town, and in those days most small towns perhaps had only one inn. The inn in Bethlehem was already filled. No other accommodation was available. 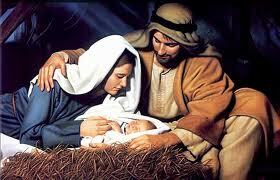 He was too busy to notice a woman about to give birth to a Baby, to a Child who would grow up to become the most famous Man in all of history, and more than a Man, the Son of God, the Messiah, the Prince of Peace. Christmas represents a hope, a unique joy, felt only at Christmastime, because Christ the Savior is born. Are you lost today? What better time for you to be found than at this Christmas season? Don’t be like the man who missed Christmas. Do you have room for Jesus Christ? Or are you so busy and so occupied with the trimmings of Christmas that you miss its triumph, as the innkeeper did long ago? Have you crowded Jesus out so that there is no room for Him in the inn of your heart? Let the Christ of Christmas come in to your heart today. That first Christmas was dirty, grimy, filthy, but thank God it was because without it, what a mess we would be in! WAS JESUS CRUCIFIED ON A DOGWOOD ? - LEGEND OR MYSTERY OF "THE RED HEIFER"
AT EASTER, WHAT ABOUT THE TWO THIEVES ON THE CROSS - WHICH CROSS REPRESENTS YOU ? WHAT DOES THE BIBLE SAY ABOUT "THE GREAT COMMISSION" - IS IT IMPORTANT TO CHRISTIANS ? WHO WERE THE TWELVE ( 12 ) DISCIPLES/APOSTLES OF JESUS CHRIST ? WHAT IS THE TRUE MEANING OF EASTER ? - A COTTON-TAILED BUNNY - COLORED EGGS ? WHAT DOES THE BIBLE SAY AS WE APPROACH EASTER AND JESUS' RESURRECTION-WHERE DO WE GO WHEN WE DIE ? WHAT DOES THE BIBLE SAY ABOUT WHAT THE RAINBOW REPRESENTS OR IS THERE A POT OF GOLD AT THE END ?? THE MEANING OF EASTER – THE PRODIGAL SON – ARE YOU COMING HOME? WHAT DOES THE BIBLE SAY ABOUT JUSTIFICATION – ARE YOU JUSTIFIED BY HIS GRACE?